From the traditional Walk of Witness that begins at St Peter's church at 10:30am on Good Friday, right through to an open celebration with games, barbecue, cake contest, and quizzes, on Easter Sunday, (11:00 after the traditional 9:30 Family Eucharist service) we are making our remembrance of the Resurrection Jesus even more special this year, and hope to welcome new friends and all our neighbours to share in this with us. Watch this space and Facebook for more details. 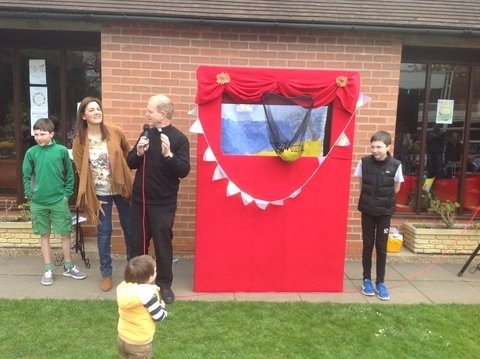 If you are interested in activities on Easter day, please email us on spcbalsall@gmail.com to help us plan. 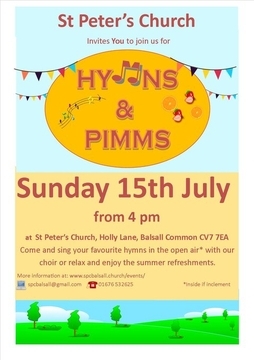 You are invited to St Peter's Church on May 12th to watch the Midlands Velo go past, and to celebrate summer with us - from 1:00 we shall be repeating our popular 'Hymns & Pimms' event! 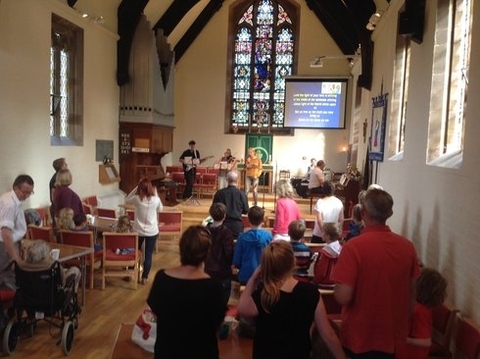 Come and sing (or listen to) your favourite hymns in the open air (indoors, if inclement! ), relax, and enjoy summer refreshment! Tickets include burger, sausage, drink and salad etc - we do ask people to donate some salads if they can, but if you cannot, just come along and enjoy the day. If wet, there is a lot of room indoors! We do ask you to book in advance as it helps us to make sure we order the right amount but if you forget, just turn up and we'll try to serve you. 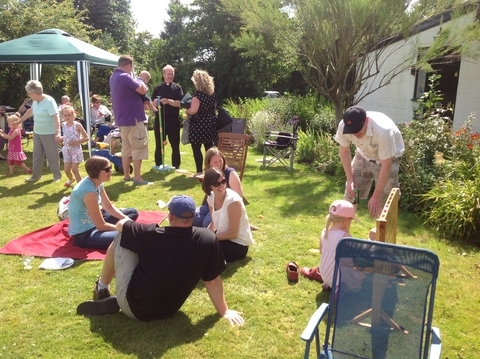 The picture above was at a previous BBQ and gives you a flavour of the event! We had a great time and there was lots of food and fun. Tickets will soon be on sale - Last year the price was a bargain at £7.50 per adult, or a Family Ticket for £20 - This year will still be a bargain! 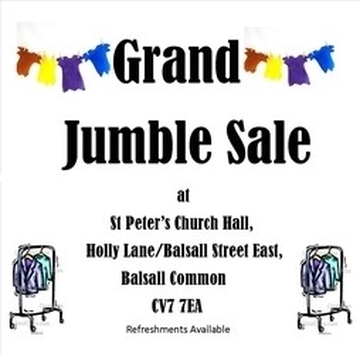 Email spcbalsall@gmail.com to reserve a ticket!